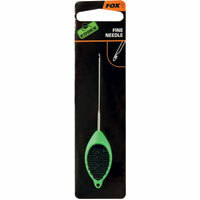 The Fine Needle is perfect for small boilies and particle baits. The Heavy Needle is perfect for larger boilies and harder baits. The Gated Needle is perfect for splicing 45lb Submerge and general hook baits.